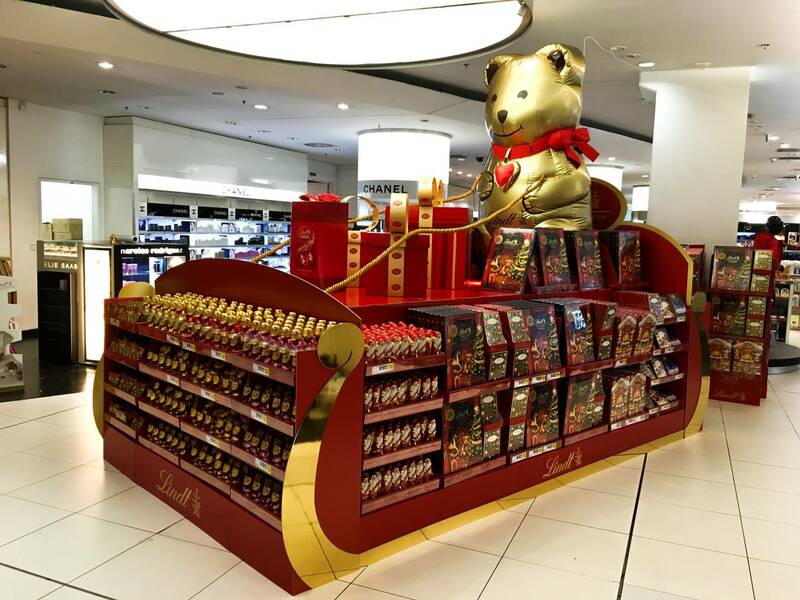 Christmas sledge for Lindt | Eclipse Print a. s.
We would like to introduce our successful work-cardboard display of the Christmas sledge for Lindt. We managed to achieve a result that we can be proud of with the help of almost all types of our manufacturing technologies, from design to complete production then installation on strings and with the joint efforts of our designers, printers and installers. We believe that customers will like it, sledge will make the Christmas atmosphere. Thank you for your opportunity! 19. 3. 2019 • Eclipse získal certifikát PSO a PSD podle normy ISO 12647 fungující dle Fogra standardu. Byla úspěšně otestována ofsetová i digitální výroba. KTERÝ FLATBED STROJ JE NEJLEPŠÍ?